Rod Stewart, you have good company! 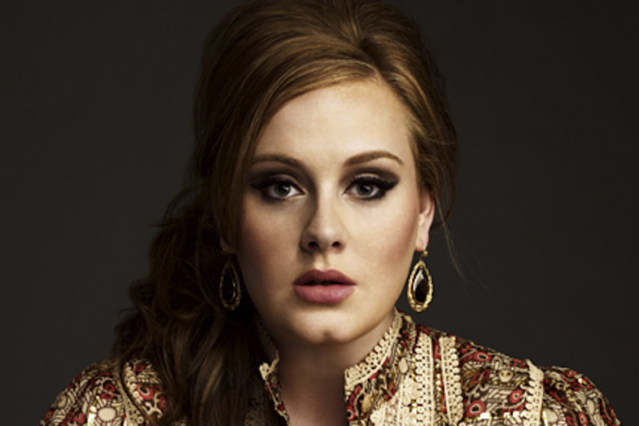 • After single-handedly giving a boost to the ailing record industry with her ridiculously popular 21, Adele was forced to scrap her U.S. tour last fall to undergo surgery for her well-worn, hemorrhaged vocal cords. Though the singer claimed the damage was due to her incessant offstage chatter, it’s hard to believe unleashing that bone-rattling wail night after night didn’t at least play a role. • Maybe it’s karma for any number of douchey deeds or perhaps it’s thanks to a decade of crooning “Your Body is a Wonderland,” but last month John Mayer announced he had been advised to rest his voice “indefinitely,” despite the fact that his new album, Born and Raised, is slated for release in May. Turns out he wasn’t able to kick a case of inflamed vocal cords that kept him off stage for most of last year. “The only thing that stops me from devolving into a puddle of tears is knowing that it’s a long life, and the greatest gift in the world is being able to create music no matter what the circumstances,” he wrote in a blog post to fans that has since been removed. • Shortly after scooping up an armload of Grammy awards, Foo Fighters delivered bummer news to Singapore fans: Dave Grohl had been ordered by more than one doctor to “take it easy” on his voice and the band had decided to cancel their March 2 gig in downtown Padang. Details were sparse, though the band promised to be back in southeast Asia “in the not too distant future.” But don’t go scratching them off summer festival rosters just yet. As you can see for yourself, the band played a blistering set at Lollapalooza Brazil just last weekend. • Celine Dion’s heart might go on (and now in 3D!) but it turns out the same isn’t true for her voice. In February, the Las Vegas staple canceled several shows of her Caesars Palace residency after a virus triggered problems with her right vocal cord. The pop star said she panicked after discovering she had “no control whatsoever” of her voice during a soundcheck. She anticipates fans will be able to hit the slots then take in her show by its next run, starting June 9. • He’s healed and heading to the California desert this weekend for Coachella, but back in October Faris Badwan, frontman for British art-rockers the Horrors, was on a train back home to London during the middle of a UK tour with undisclosed “voice problems.” After barely making it through a show in Newcastle, the singer decided to scrap the band’s Edinburgh and Liverpool dates and visit his doctor instead. They’re at Coachella right now, though!